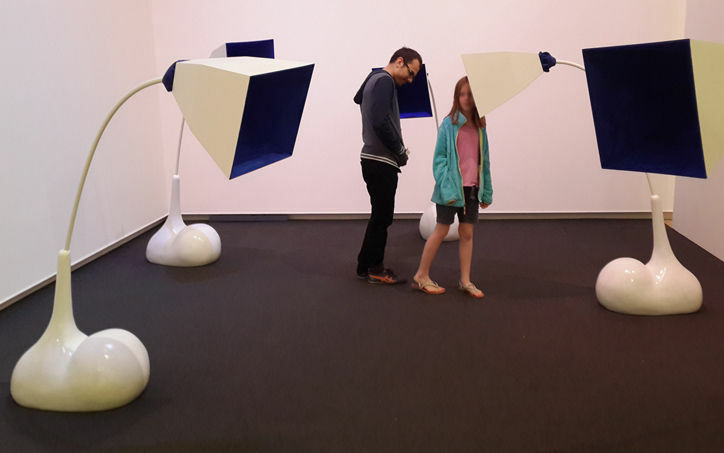 The Chatting room is an interactive installation that explores the metamorphosis of meaning of cultural texts through online communication between people and algorithms. Rapidly developing information technologies transform the shape and the content of cultural exchange. Artist Vita Eruhimovitz examines this transformation using artificial intelligence chatting algorithms embodied in interactive robotic sculptures. This work explores the ways in which written culture and religion may evolve as a result of changing communication patterns and new entities added to the communication. It raises questions about the evolution of meaning in the collective human-machine consciousness. The Chatting Room consists of a group of robotic sculptures equipped with artificial intelligence, speech modules, and sensory systems. The robots are computationally-independent entities that conduct discussions with the visitors and among themselves using generic common-knowledge databases gathered from the Internet as well as databases of Old Testament and Talmudic texts. The viewers have an opportunity to listen to algorithmically-generated discussions between pairs of chatting robots, as well as divert and direct these discussions by talking to the robots. The ongoing dialogues are projected as text on gallery walls, visualizing the parallel conversations and allowing viewers to follow several conversations at once. By equipping the artificial intelligence algorithms with ancient religious text databases, Vita seek to reflect on the relevance of religion today, on the conventional wisdom of our predecessors, and new conventions forming today about the intelligence of learning algorithms. Vita Eruhimovitz Chavruta Chatting Room Vita was born in Ukraine, grew up in Israel. 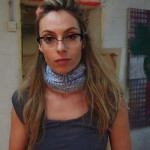 She studied computer science and bioinformatics at Hebrew University. Vita has worked in research and teaching and traveled extensively. While living in Sydney she started sculpting and quickly realized that she found her purpose. She completed a BFA in Multidisciplinary Art at Shenkar and moved to the USA for a Visual Arts MFA at Washington University in Saint Louis. Currently, Vita lives and works in New Jersey, teaching art and pursuing her studio practice. She works in multiple media, often incorporating programming and electronics to create interactive art. Her work has been shown nationally and internationally.